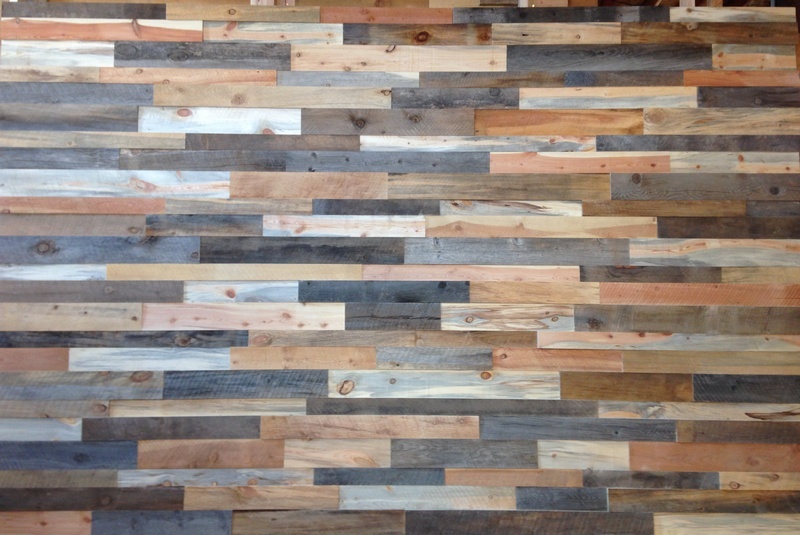 Custom Designs -- Full Wall Sets pre-selected and arranged by our Greenleaf Forest wood artisans. HERE ARE SOME OPTIONS CURRENTLY AVAILABLE. 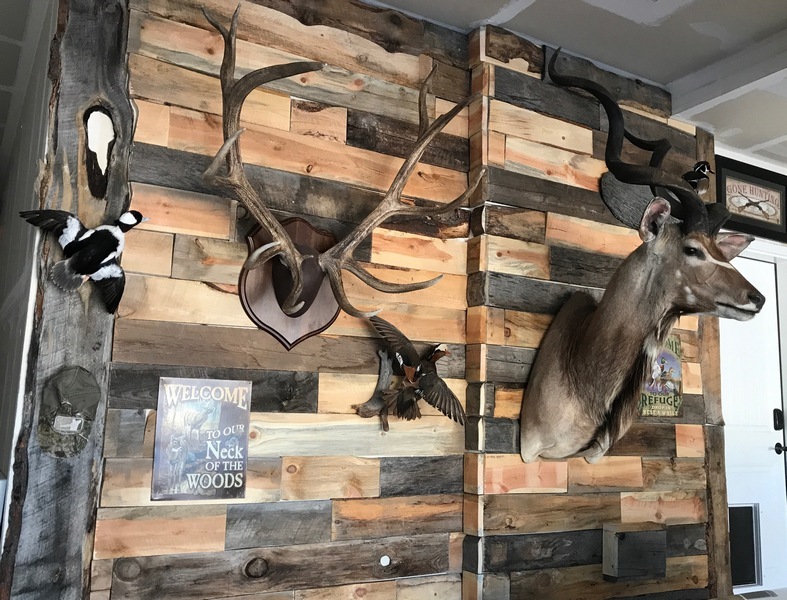 Prices shown are estimates for material picked up or typical installation within 15 miles of Black Forest, Colorado. Accent Wall 1. Blue Mesa (left photo). Rows of 3, 4, 5" widths. 8 x 12 display, in Studio now. This art wall is $12/ sq. ft. for DIY components, or $20/ sq. ft. installed. Accent Wall 2. Colorful Colorado - Ready in Studio (top photo) Bottom photo = installed example. 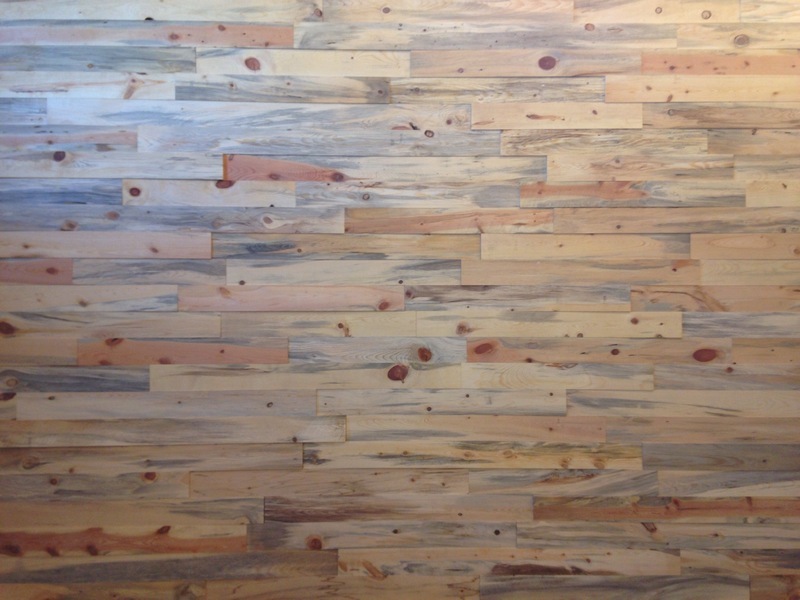 Array of mixed blue-gray-red pine, 4" smoothed planks, mock-up on display at the Black Forest Studio. The (first photo) 8 x 12 art wall (all or part) is ready for a home. Components = $12/ sq. ft. , Installed = $20/sq. ft. Accent Wall 4. Slumber "Z". Ready in Studio. 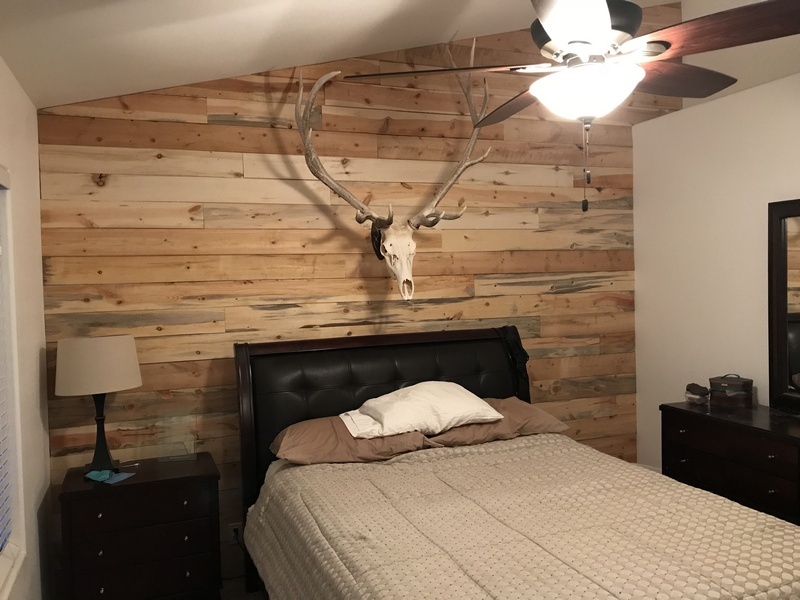 This 4 x 8 panel can be installed in a room or as a headboard. It is on display at the Black Forest Studio. Components are $10/ sq. ft, or installed $16/ sq. ft.
Amazing board colors and patterns are possible -- send us a photo or sketch of what you thinking of, and we will work with you. Accent Wall 5. Mountain Logs. By Special Order. 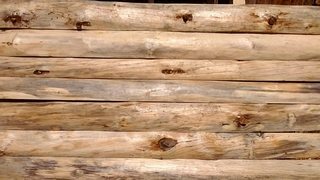 We create lengths of first cuts of logs, or "barky slabs," and handpeel them with drawknives into colorful sets for interior walls. Or leave bark on. 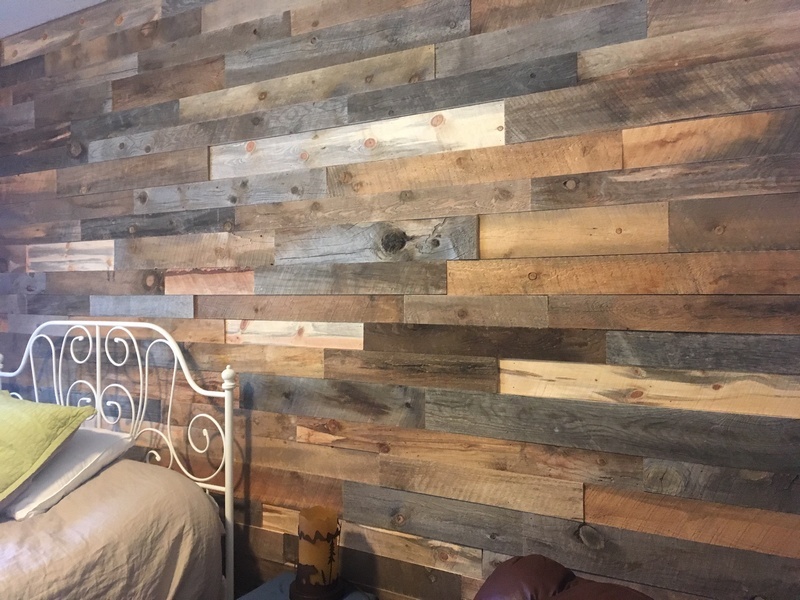 You can have a Log Cabin room or wall in your modern house, to enjoy rustic times! 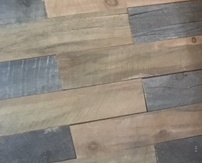 Available in 4- 6" wide x 2-3" thick planks. Price as components $8/ sq. ft.. or installed at $15/ sq. ft. Accent Wall 6. 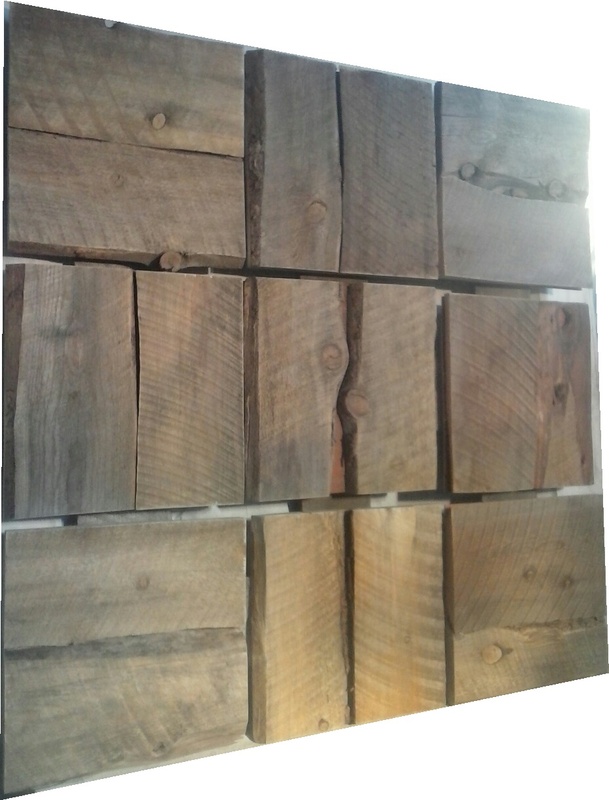 Rustic Art Squares. Ready in Studio. These handcrafted 16 x 16" panels make an unique art wall. Available individually or as sets. $60 (one), $200 (four), $360 (nine). $600 (sixteen). DIY, like hanging pictures -- spacing as you like. Or custom installation estimate upon request. Accent Wall 7. Mountain Waves. By Special Order. 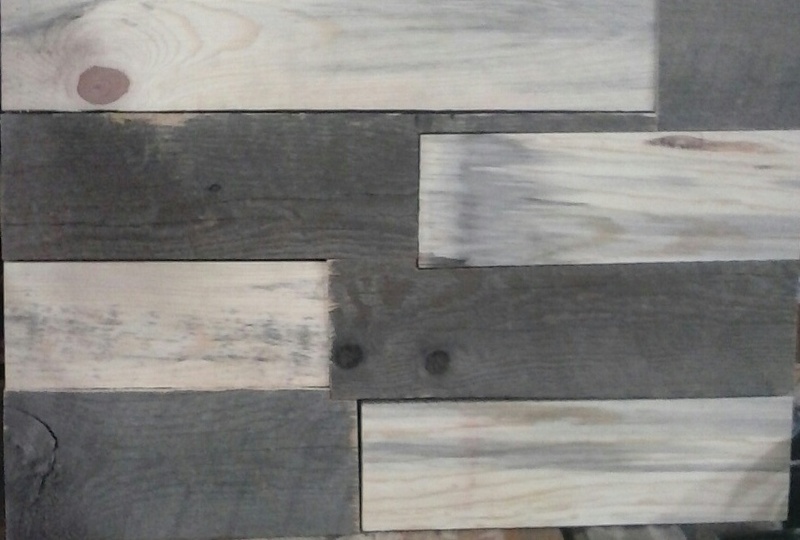 Using Black Forest Fire-killed pines, we create boards with one wavy edge and circle-saw-mark texture. 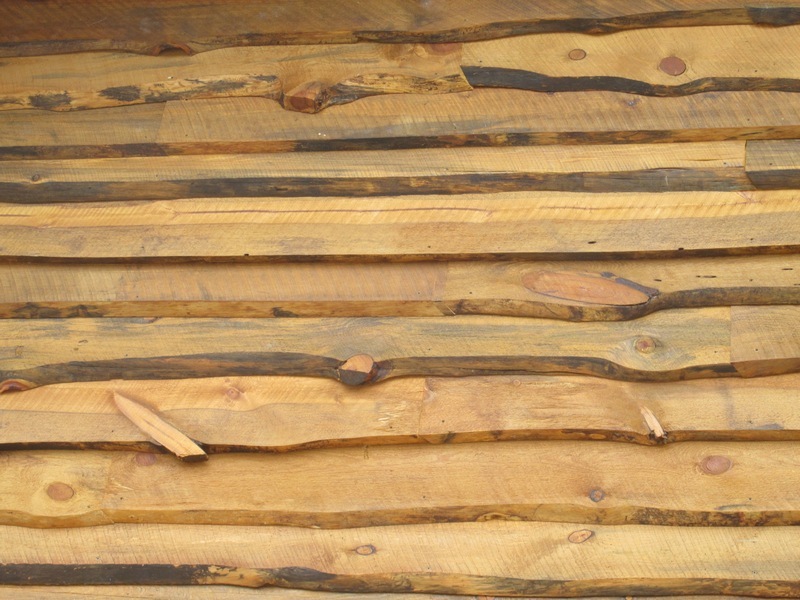 Installed as lap siding, the boards can add special antique/ rustic effects inside or outside your home. 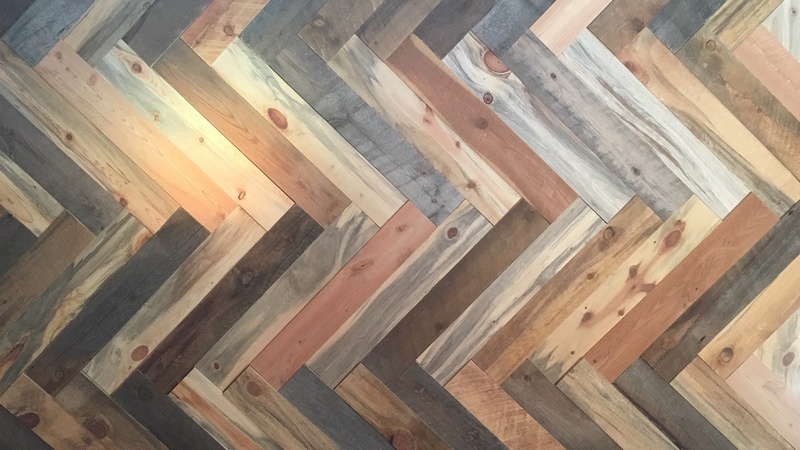 Artfully chosen, features like knots, grain, and waves mold into a unique wall that catches your eye. Finish with clear or transparent stain you like. Available by special order, components= $6/ sq. ft. Selection and installation adds $12/ sq. ft.
Greenleaf supplies materials for DIY and Contractors, or we can recommend installers. Each project is unique, please contact us for details. Send us photos of what you like! Send to len.at.greenleaf@gmail.com Prices are estimates and are subject to change without notice. Please call/ text Len Lankford at 719-429-4404 or Request a Quote.